Today’s world communications cannot be imagined without networking and WiFi. Moreover, networking needs to be scalable, reliable, and secure. Of course, you are completely right, it has to be tailor made, it is not the same if you are running a hotel, factory, university or some other type of business. Good news is that NES Communications team has done it all. We have successful implementations of all shapes and sizes of networks. This and the fact that we only work with the best of the best, such as Cisco, HP, Extreme Networks, Juniper, and Fortinet, is why NES Communications is an ideal partner for all your wired and wireless networking needs. Today, every company, regardless of size, needs to use information technology in their business. Adding computers and devices to an existing network is easy, while getting the initial infrastructure right to meet customer needs today and in the future takes some planning and skills. As an organization grows, the network must grow to accommodate the increased number of devices connecting to the network, as well as offer connectivity to additional services components of increased size. We at NES understand customer demands and can design tailor-made networks. How to design stable and predictive wireless networks is today one of the biggest challenges for system integrators. In facts, most of end-users want to use same device for business and private purpose. This definitely sounds like a pretty cool and simple request. Users today expect the wireless network to be simple to use, super-fast at delivering and receiving data, and smart enough to allow roaming at will, regardless of the device or application – video, voice, or data. The average user today has 3 – 5 devices, with a tendency to increase in the years to come. As a company, which is present on IT market more than 10 years, NES communications perfectly recognizes modern IT risk. Today, one of the most important and most valuable information is your corporate data. You need to secure data, whether your people are working from home, a conference room, or a customer’s office. To hackers, vulnerabilities on a network, are hidden and high-value assets. These vulnerabilities are targets for exploitation. They can result in unauthorized entry into a network, exposure of confidential information, provide fuel for stolen identities, trigger theft of business secrets, violate privacy provisions of laws and regulations, or paralyze business operations. Our customers come from different markets, but they have same security challenges which are mostly independent from company’s size and business. Our solutions include end-to-end security solutions which are be suitable for all companies. 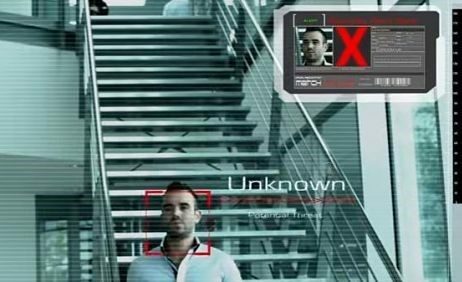 NEC`s NEO FACE RECOGNITION solution is the most accurate and fastest face recognition software application available. It is actually one platform for surveillance, search, identification and ID verification. Excellent for real-time or post-event, handling the most complex and large-scale use cases.